1st Auction – Error #32? The first auction, M.U.S.C.L.E. 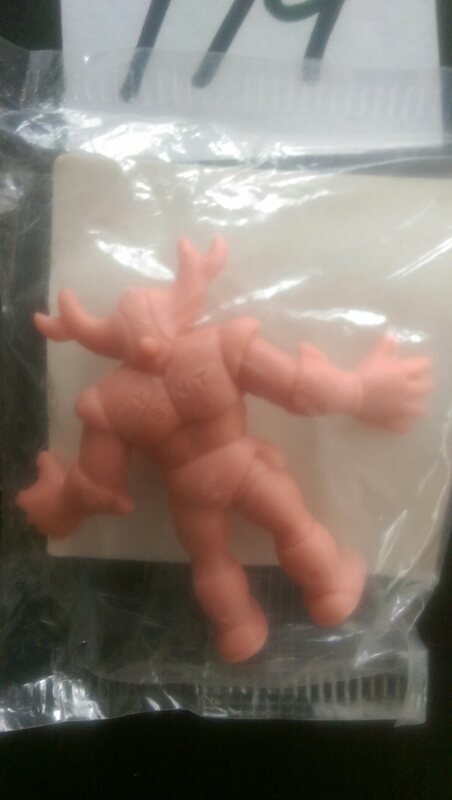 men #032 KINGTON Error Mattel 1986 flesh colored Plastic tag error, stopped me in my tracks. I love minor errors. I’m willing to document almost any error, as evidenced by arguably one of the most minor errors ever. 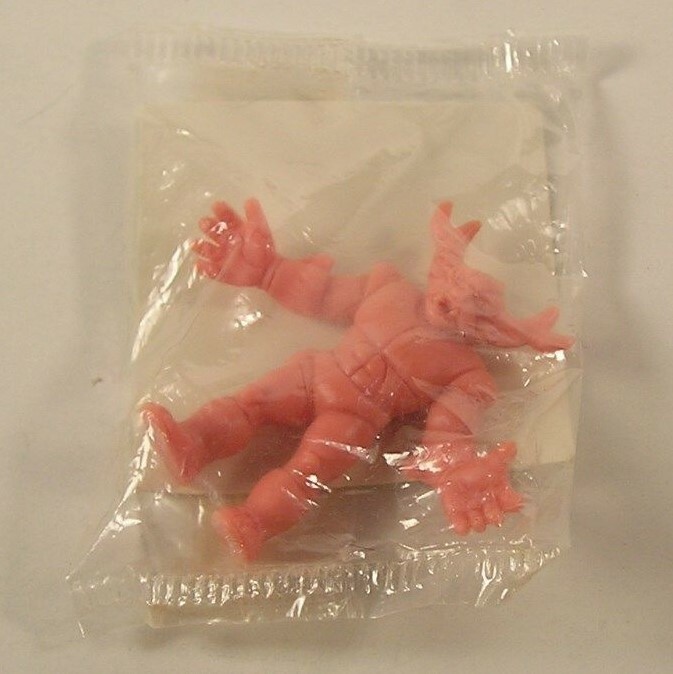 This is for 1 Kington #032 M.U.S.C.L.E men figure with an error. The error is an extra piece of plastic sticking out from his stomach. The answer is, dubiously, yes. Now we must talk about the price. The opening bid is $14.99 with a $39.99 BIN. I can’t properly describe my emotional reaction to that price. There is a large part that is simple disbelief, but it is sprinkled with rage, sadness, and confusion. Who does the seller believe is his buying audience? I can rationalize a “premium” price tag for a wildly unique error. The last “average” error I documented for Auction Watch sold for $3.95. It only had one bid and had been listed more than once. This #32 might be the dullest error looking to capture the highest price ever for a Manufacturing Error figure. The second auction, NESTLE PREMIUM M.U.S.C.L.E MUSCLE MEN BLACK BUFFALO #179 SEALED, also brings up the discussion of audience and price. There is, at least, one person that could be looking to upgrade their #179 Quik. With a $9.95 opening bid, historically, it would be open to a much larger audience looking to add a Quik figure to their collection. However, more recently, single Quik figures have sold for prices around $5 (evidence is, currently, on the second page). Does the $9.95 opening bid restrict the buying audience too much? I think, today, it does. 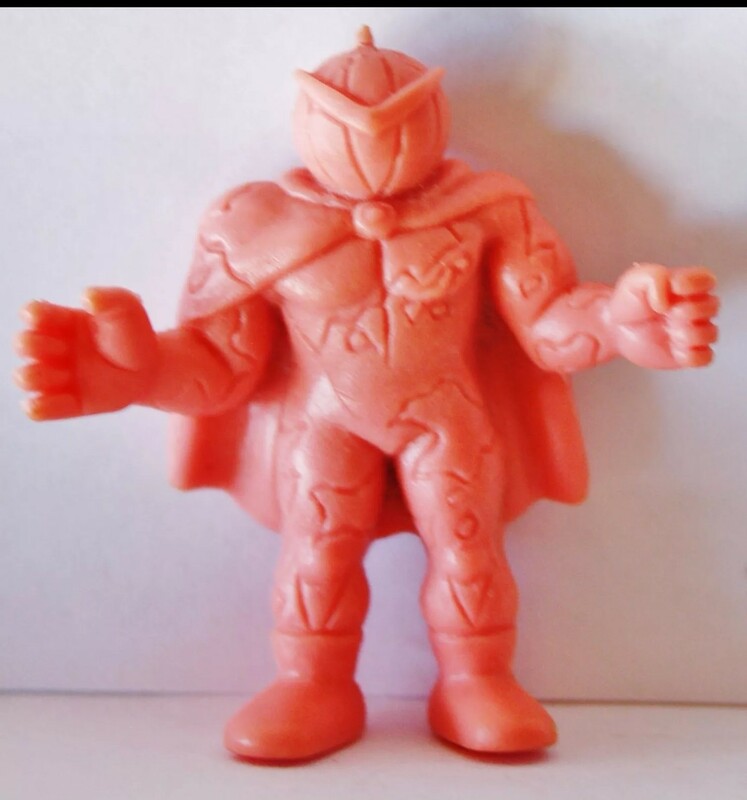 The only potential buyers become #179 super-fans, impatient “completionist” M.U.S.C.L.E. collectors, or intense Quik collectors. Those seem like very small subsets. We’ll see. 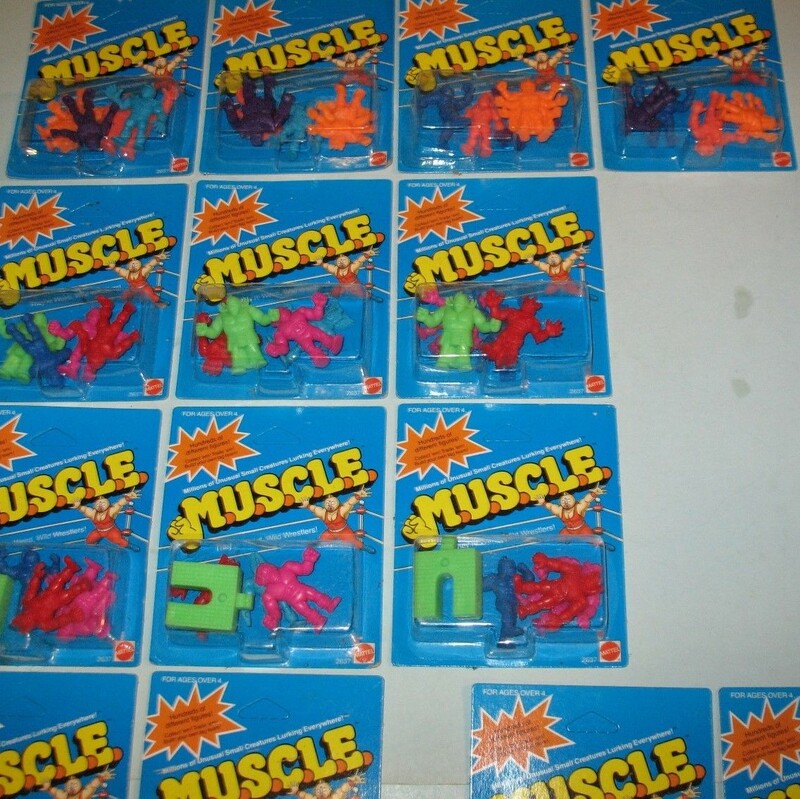 The third auction, 18 PACKS~ 1985 MUSCLE CREATURE WRESTLERS by MATTEL ~ NICE RARE LOT~ NOS, continues the theme of audience and price. This lot is made up of 18, very similar, 4-packs. It has a $200 BIN, but the seller is accepting offers. If you clicked the BIN, then you would be paying roughly $11.11 per 4-pack. I have stated that an average 4-pack is probably worth $15, depending on the figures and condition. It would appear that a buyer is getting a good deal looking only at the numbers. 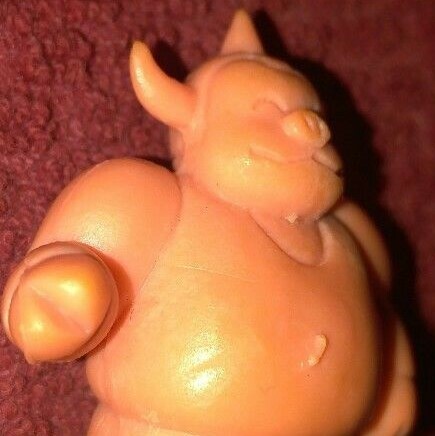 However, most of the packs are missing an overtly popular figure. And most of the packs have mostly the same mix of figures. As strictly a collector, this isn’t a desirable lot to add a variety of 4-packs to my collection. This lot seems tailored to the M.U.S.C.L.E. prospector – an especially optimistic prospector! If the lot was purchased for $200 and all the packs sold for $15, then they should see a profit of $70. It could be a little more or a little less, but probably nothing that would greatly alter the parameters of the discussion. For me, that $70 is not worth the time and effort. $7.25 is, currently, the minimum wage in the US. I believe my free time is worth much more than that amount, but let’s use that number. I think listings, re-listings, communications, headaches, packaging, and mailings would take, conservatively, three hours. That means my net is only $48.25 – even less attractive. This entry was posted on Thursday, July 6th, 2017 and is filed under Auction Watch, UofM News. You can follow any responses to this entry through RSS 2.0. You can skip to the end and leave a response. Pinging is currently not allowed.